I have a bunch of Essence polish. I get these Color & Go cuties at Ulta. They're a small size bottle for cheap. The polish, however, is not cheap as far as color, application and wear go. They are awesome sauce! 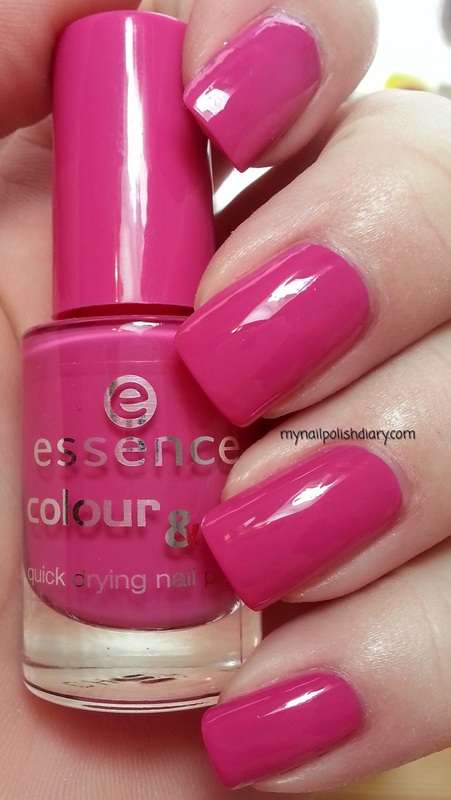 Essence Ultimate Pink is a bright pink creme. It's kind of what I'd call a berry pink. Which, of course. is my ultimate favorite polish shade to wear. 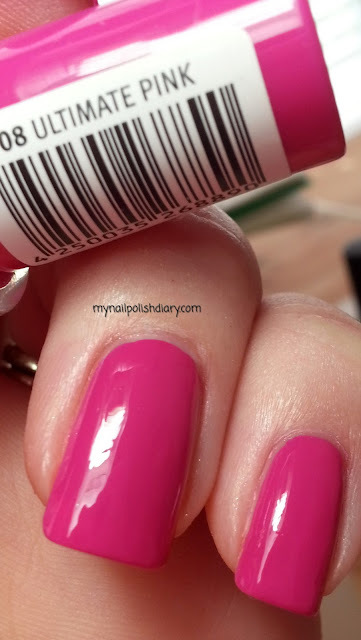 Application is flawless and wear is surprisingly long for an inexpensive polish. Essence is a German brand and they have a lot of cool polish that I see online. I'd love love love to have their Twins set of Carrie and Mr. Big. I've never seen anywhere I can get it tho, so sadly it's never joined my collection. Essence has a new(ish) bottle now they changed to last year. I like the new bottle a lot, but, I have all these other shades in the old bottle and I hate having different bottle shapes for the same brand. Really it just grates my OCD nerves looking at my polish in my Alex with different shapes. So, I haven't bought any yet. Maybe one day I will.